OUTLOOKS and REFLECTIONS: Is Micheal dead? waked up at 10, this morning, the very first visual that I saw on television was shocking and sad as hell. Micheal jackson submits to death! I sob silently for about 5 minutes and then immediately went in my room and play "dirty diana", and I have a smile on my face! for some unknown reason... Did He ever died? Did janis joplin, kurt cobain, jimmy hendrix ever died? I guess... No! these people have made themselves Irreplaceble on The span of time... from the very moment these souls make their mark to the every day when even a single song of their plays in some CD player or a radio show, They Live on! I thought how hard it might have been for Micheal to everytime move out from his home for the past decade when he was just being joked about in so many videos, and talk shows !! 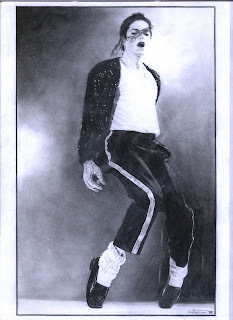 I feel it all is one big disgust this very moment..
One of my earliest memory of encoutering his work was in class 3rd, about 10 years back... tapping my foot to the song "Black or white", I dint knew that time that It was a MJ classic! Then My love for Michael reached its epicentre when My brother gifted me "MJ- Number ones" on my birthday when I was in class 9th !! That is one of my most treasured cassetes still in my collection! 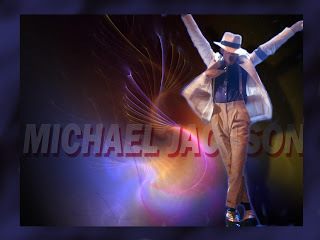 Don't Stop 'til You Get Enough"
Interestingly, some of Jackson's bigger hits such as "Wanna Be Startin' Somethin'" and "Remember the Time" were absent from the collection, while "Break Of Dawn" was present on all editions, despite never being released as a single. may god bless his soul and may he finds solace in the arms of almighty whomsoever he was trying to search while switching religon, a few months back... may he witness the same faith and rest in peace! may his fans and family gets the stregth to bear this immense feeling of loss! and he will always be LEGEND"
heyy nice one pulkit!!! it is indeed a great loss to music people. Michael is a legend of legends. By the way i would recommend one of his most underrated songs to you....its called "give in to me" from the album Dangerous. Just listen to it man.....u'll luv it!! !